IT HAS been seven years since David Kitt last released a solo album, with 2009’s The Nightsaver, but the time since then has not been seven years in the wilderness, rather it has been a time of intense productivity for the Dubliner, heralding a creative rebirth - on many fronts. Since that last solo album, David Kitt might seemed to have dropped off the map, but not so. He has toured with David Gray, did production duties for Cavan singer-songwriter Lisa O’Neill, and, most prominently, enjoyed a new lease of life, winning public and critical acclaim as electronic musician and DJ New Jackson. 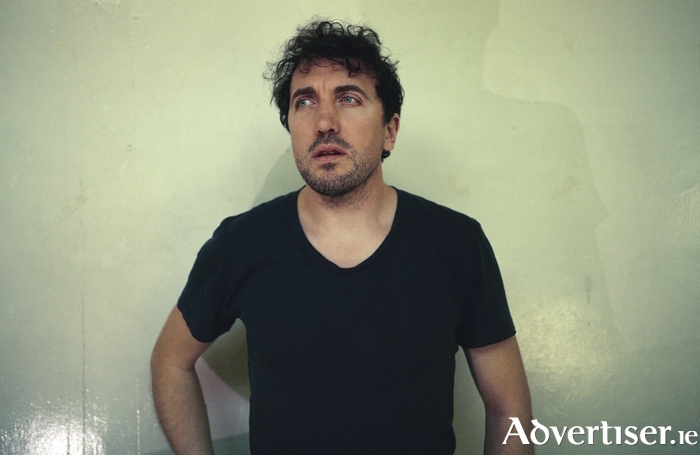 David Kitt emerged in 1999 with his debut album Small Moments which attracted great attention in Ireland and Britain, with his popularity escalating further with 2001’s wonderful The Big Romance. His combination of introspective acoustic guitar with electronic beats and ambient soundscapes, marked him out from his contemporaries, but “coming out at the same time as a lot of singer-songwriters, I tended to get lumped in with them”, and when many of the singer-songwriters of that period faded out, Kitt’s momentum also suffered. Kitt reinvented himself and New Jackson was born. As New Jackson, Kitt took vintage drum modules, synths, a Russian vocoder, and MPC software, playing leading dance clubs across Europe and the Body and Soul and Electric Picnic festivals; as well as releasing music through the Permanent Vacation and Major Problems labels, remixing for Hieroglyphic Being, and a collaboration with Fort Romeau. Kitt’s vocalist/guitarist side was not abandoned, as he was asked to produce Lisa O’Neill and accompany David Gray on tour. These would be crucial experiences, also in re-igniting his creativity, and leading to the creation of Yous. Kitt has strong Galway connections. His father was from Galway East and his uncle Michael represented the constituency as a TD and senator for almost 40 years. However, he himself is Dublin born and bred, and the title Yous reflects that. In advance of the album’s release, David is touring Ireland, including playing the Róisín Dubh, next week. At the shows, he will be selling a 12” poster of the album artwork that will include a pre-order download code from Bandcamp that will give one song now, followed by the rest in January. Before we conclude, Kitt shares a wonderful memory of the time he met Paul McCartney. A number of Kitt's albums have been mastered at the iconic Abbey Road Studios in London. "The first time I was there was in 2004 and who was the first person I met? George Martin," he says. "The third time I was there I stepped outside to have a cigarette - when I used to smoke more regularly - and across the way was Paul McCartney! He was right in the middle of the whole Heather Mills debacle. Apparently he was there a lot of the time as it was a safe place for him. I gave him a wink and let him be. I will never forget that moment, it shows it doesn't matter whether you're Paul McCartney, or anyone else, if you're going through hell you wear it on your face."